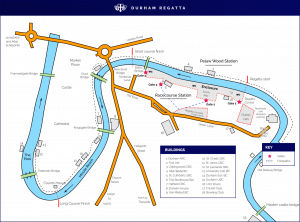 Durham Regatta dates back to 1834. It is the second oldest regatta in the United Kingdom after Chester Regatta. It predates the Henley Royal Regatta by 5 years. 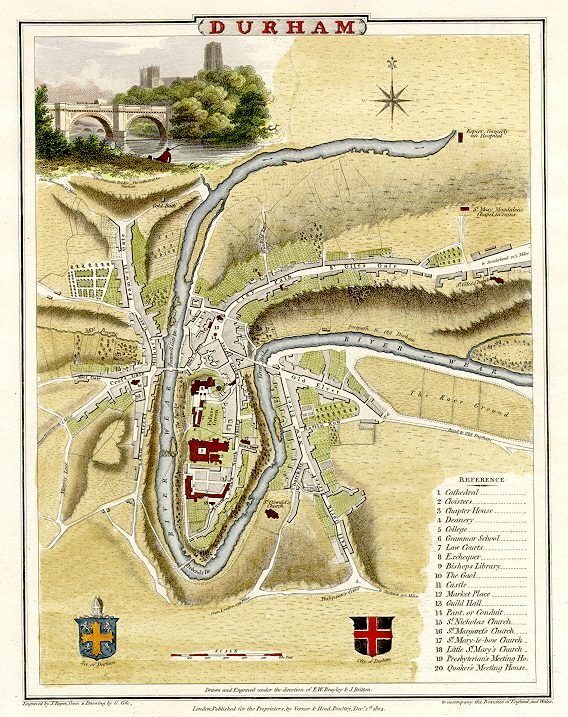 Durham Regatta dates back to 1834, but its roots can be traced even further – to 1815. The Regatta grew out of an annual procession of boats from Prebends Bridge to the Old Durham Beck that commemorated the Duke of Wellington’s victory at the battle of Waterloo. The first procession took place shortly after the battle and was organised by the Sheriff of the County of Durham and the Squire of Dryburn (the Rt. Hon. William Lloyd Wharton). The commemoration took place annually on June 18th, to celebrate the anniversary of the pivotal victory. Reports from the time describe the bells pealing from the Cathedral and other churches, flags being raised throughout Durham and a parade of local veterans from the Battle of Waterloo and Wellington’s Peninsular Campaign. These Waterloo-men would march through the historic city to the banks of the River Wear. The racecourse would then resound with thundering cannon salutes. Today’s competitive racing owes much to the founding of Durham University in 1833. The first Regatta took place the following June with the University as a founding member. Oarsmen were invited from the Tyne, Wear and Tees to compete over three days of intense racing. The course followed the course of the earlier flotillas, beginning at Prebends Bridge and then racing upstream to a buoy at Ash Tree in Pelaw Woods. Many races saw boats competing nine abreast. Competitors often had to disentangle their boats following collisions as they raced along the twisting course and through the narrow arches of Elvet Bridge. On the eve of the second day, there was a firework display followed by a Ball in the City’s assembly rooms. Forty-three of the surviving Waterloo men were treated to a “substantial supper with a plentiful supply of strong ale and punch” by Captain Chipchase, himself a veteran of the Peninsular Campaign. Today, events are held over two courses – a short 700m course, and a longer, more challenging, 1800m course. The majority of races take place on the short course, starting at Pelaw Wood and finishing just past Bath’s Bridge. The longer course takes crews side by side, from Pelaw Wood, through the historic arches of Elvet Bridge down to the finish at Counts House, close to Prebends Bridge. Around 60 trophies are presented at the Regatta – many of which have rich histories. The most prestigious trophy on offer is the Grand Challenge Cup. Elite coxed fours compete for the Cup over the demanding long course. Since its introduction in 1854 by Charles Eddy, a well-known boat builder and waterman, it has been the most coveted prize of any regatta in the North East of England. The Regatta attracts almost two thousand competitors. There are also frequent entries from the Netherlands and Scandinavia. In addition to the rowing, the almost ten thousand spectators enjoy a wide range of activities along the riverbank. A classic car rally, climbing wall, live music from bands (in the historic bandstand) and gymnastics displays are just a few of the attractions that have been included in past regattas. And there’s tasty local food and drink too. Although the Regatta is now run as a limited company, the Articles of Association still broadly follow the historic constitution and the directors are still drawn from the founding organisations.